AWSNA (Association of Waldorf Schools of North America), and their materials introducing Waldorf education. 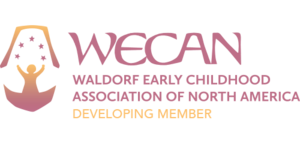 WECAN (Waldorf Early Childhood Association of North America) and their resources for parents, including Growing Healthy Children. Dancy, Rahima Baldwin. The Wisdom of Waldorf. Originally published in Mothering, no. 123, March/April 2004. Konnikova, Maria. What's Lost as Handwriting Fades. The New York Times, June 2, 2014. Larrison, Abigail, et al. Twenty Years and Counting: A Look at Waldorf in the Public Sector Using Online Sources. Current Issues in Education, 15(3), 2012. Lipman, Joanne. Is Music the Key to Success? The New York Times, October 12, 2013. Melrose, Regalena. Why Waldorf Works: From a Neuroscientific Perspective. Self-published, October 2, 2010. Richtel, Matt. A Silicon Valley School That Doesn't Compute. The New York Times, October 22, 2011. When this article originally appeared in the NY Times, it garnered a lot of attention for Waldorf education, as well as continuing the debate about technology's place in education. Rowan, Cris. The Impact of Technology on the Developing Child. Waldorf Today, June 2014. Originally published in the Huffington Post online, and part of her ongoing work on children and technology use. Various articles and publications. The Alliance for Childhood. The Alliance for Childhood is a non-profit organization dedicated to supporting children's healthy development, love of learning and joy in living. We The Parents, 43 Ways our Kids Thrive on Free Play More than ever, educators and child-development experts are recognizing the vital importance of free play in the lives of children. Here is a comprehensive look at the myriad of benefits self-directed play brings. Weichert, Christof. Resilience. Waldorf Today, August 2011. Excerpted from a longer article that appeared in the Waldorf Journal Project #17. Wenner, Melinda. The Serious Need for Play. Scientific American, February/March 2009. Describes research showing that free, unstructured, imaginative play is vital in the early lives of children. The website of the Education Department at the Goetheanum, with articles on the foundations of Waldorf education, early childhood, teaching practice, self development and school management: www.waldorf-resources.org. Petrash, Jack. Educating Children for the Journey. TEDxRockCreekPark, March 8, 2013. Jack Petrash is a long-time Waldorf educator and author. This talk makes his case that Waldorf education prepares our children for the future through developing three capacities: for vigorous activity, for a sensitive and resilient emotional life and for clear, original thinking. Preparing for Life, Waldorf School of the Peninsula, December 6, 2013. An excellent explanation of the methods and fruits of a Waldorf education. Dancy, Rahima Baldwin. You Are Your Child's First Teacher, 3rd ed, 2012. Davy, Gudrun & Bons Voors. Lifeways: Working with Family Questions, 1995. Fenner, Pamela Johnson and Karen L Rivers, eds. Waldorf Education: A Family Guide, 1995. Finser, Torin, School as a Journey, 1995. Petrash, Jack. Understanding Waldorf Education: Teaching from the Inside Out, 2002.